The U.S. Coast Guard has suspended the search of an overboard crew member in Sitka Sound, Alaska. The missing man was from MS Amsterdam, operated by Holland America Line. We are sad to post that a male crew member from MS Amsterdam was overboard on Thursday evening and the U.S. Coast Guard called off the search on Friday. The Holland America cruise ship was sailing in Sitka Sound, Alaska when he was reported overboard. The Coast Guard based in Sitka was alerted at around 9 PM on Thursday. They were informed that the crew member did not turn up for his shift that evening. The captain Amsterdam captain was made aware at around 7:45 PM. All missing person procedures were activated and an extensive search was done onboard by the crew. The Coast Guard launched a search operation involving a helicopter. Weather conditions were not so good with low visibility, 45 MPH winds and 7-10 foot seas. A total of 163-square miles was searched covering Cape Ommaney to Biorka Island and nearby waters but sadly the crew member was not found. MS Amsterdam is coming to the end of a 7-night Alaskan voyage based out of Seattle, Washington. The ship will begin its next cruise on August 5. 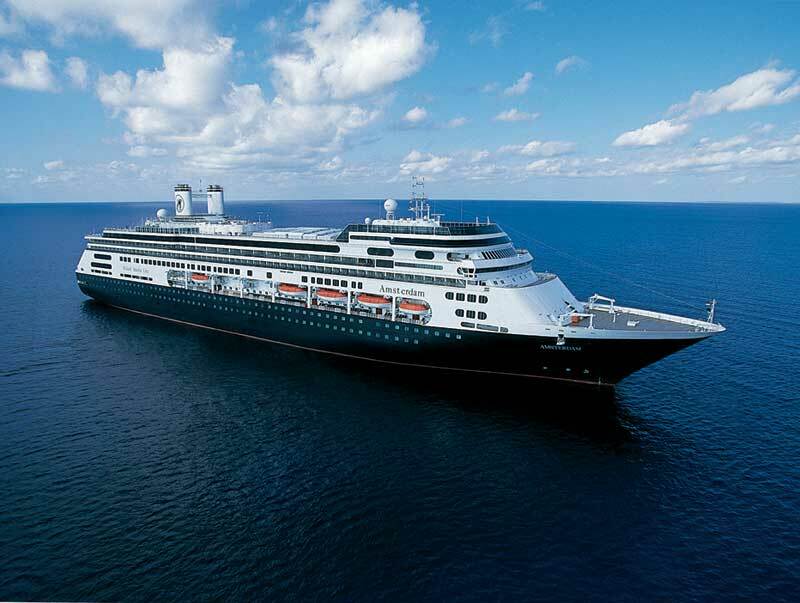 The Holland America ship is over 62,700 gross tons and has a guest capacity of 1,380. It’s been worrying for crew members recently with two of them falling over a lifeboat from a Royal Caribbean cruise ship recently. Thankfully they were both ok and rescued. In another lucky rescue, a crewman was overboard an NCL ship and then rescued by a Carnival ship almost a day later!